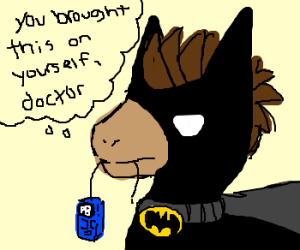 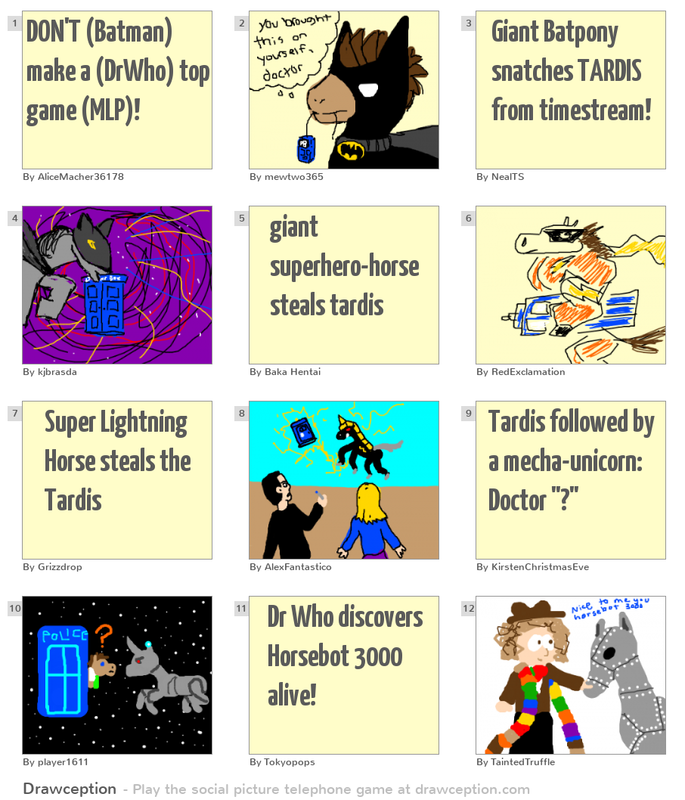 DON'T (Batman) make a (DrWho) top game (MLP)! 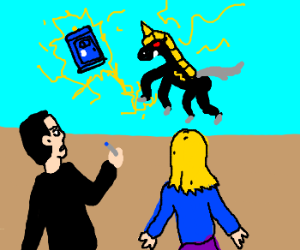 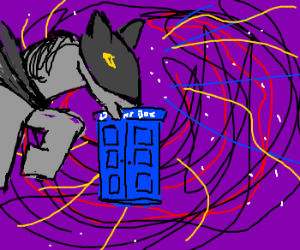 Giant Batpony snatches TARDIS from timestream! 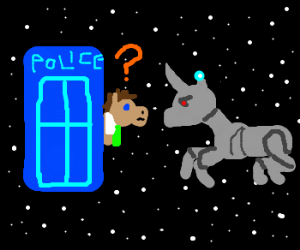 Tardis followed by a mecha-unicorn: Doctor "?" 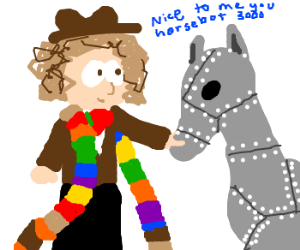 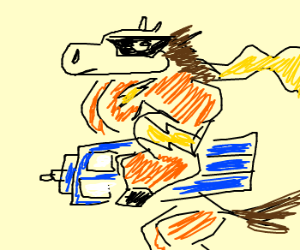 Dr Who discovers Horsebot 3000 alive!